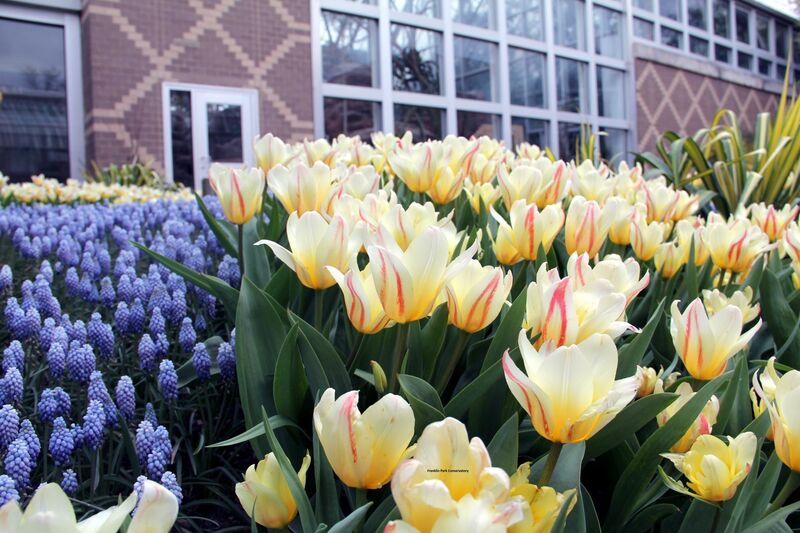 Ohio in Bloom: Where to See Spring Flowers - Ohio. Find It Here. Is there a more splendid sign that springtime has arrived than the bright and beautiful colors of the season’s flowering bulbs and blossoms? Immerse yourself in the gloriously golden daffodils, take in a tantalizing array of tulips, and bask in beguiling wildflowers at these Ohio destinations. Follow the red arrows to behold 100,000 daffodils encapsulating a three-acre hill in the heart of Lake View Cemetery. Renowned for its naturally lovely landscape, Lake View is both a peaceful arboretum and the final resting place for notables that include John D. Rockefeller and President James A. Garfield, whose magnificent mausoleum – the Garfield Monument – is an iconic Cleveland landmark. 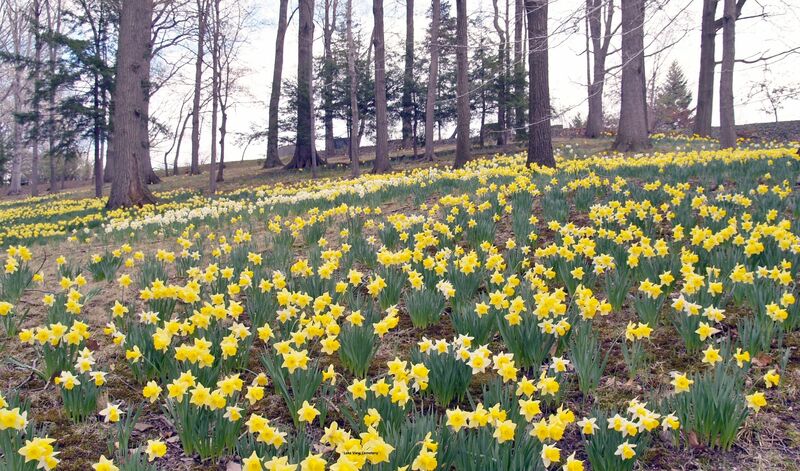 Daffodil Hill began when avid gardener and daffodil aficionado Dr. William Weir donated 10,000 bulbs to the cemetery, and today the dazzling display of sunny yellow flowers lures thousands of visitors during April and May. Tip: prime viewing time is Daffodil Week, April 14 – 21, 2019. At central Ohio’s pre-eminent outdoor floral exhibition, more than 125,000 tulips, narcissus, crocus, hyacinth, and other blossoming beauties cascade through the new Children’s Garden, Grand Mallway, and other superbly planted spaces at Franklin Park Conservatory and Botanical Gardens in downtown Columbus. Because boldly-patterned Marimekko textiles inspired this year’s Columbus Blooms, the artfully designed show features flowers with rich, jewel-toned hues. Tip: it coincides with the latest version of the Conservatory’s ever-popular – and always delightful – Blooms & Butterflies exhibit. 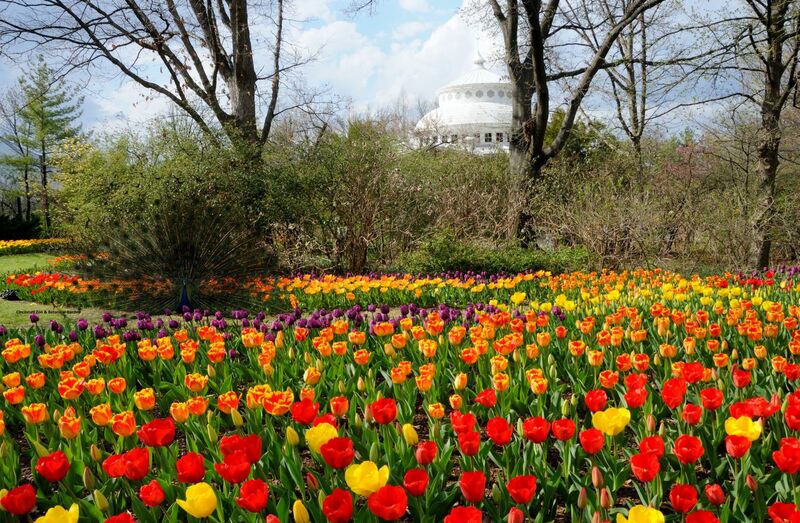 No wonder Zoo Blooms is nicknamed “Tulip Mania.” The annual event offers one of the Midwest’s largest – 100,000+ – displays of tulips, and the blossoming bulbs’ variety and vast color palette is unsurpassed. In addition to its status as a top-notch zoological park with animals from aardvarks to zebra bugs, the Cincinnati Zoo is an accredited botanical garden, and every spring, its gorgeous grounds feature more than a million flowering trees, shrubs, and bulb. Tip: every Thursday in April, a free concert series – Tunes & Blooms – rocks the Zoo. 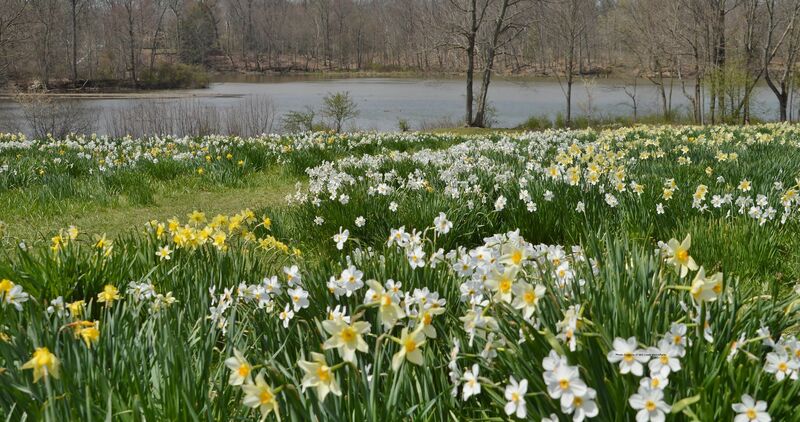 Boasting more than 200 varieties of daffodils, Fellows Riverside Gardens not only is an American Daffodil Society Display Garden, but USA Today also has named it one of the nation’s best places for viewing daffodils. Hop on the Daffodil Trolley during the Gardens’ annual Daffodil Weekend (April 14, 2019) to marvel at Daffodil Meadow’s multitude of trumpet-shaped flowers and learn how a local garden club planted its first bulbs in 1932. Tip: look for plantings of “Fellows Favorite,” a large-cupped daffodil hybridized to honor the 50th anniversary of Fellows Riverside Gardens. 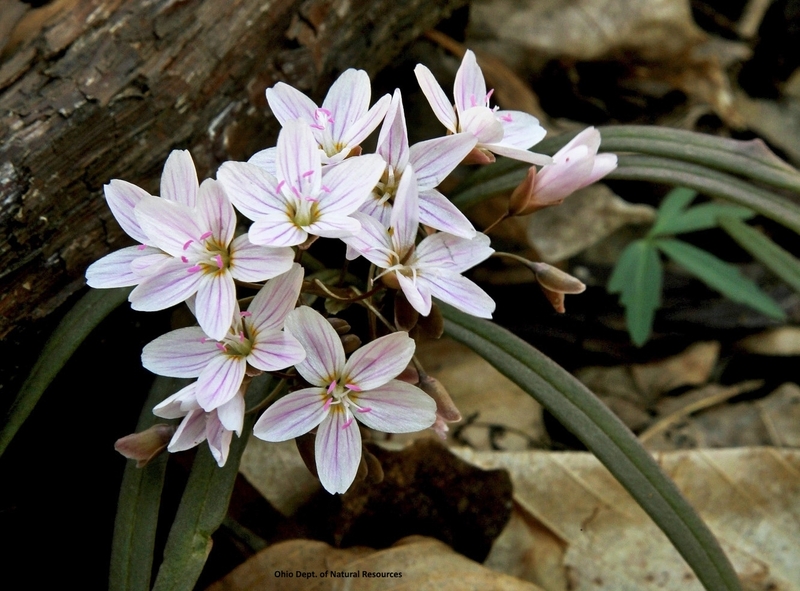 The botanical names of Ohio’s spring wildflowers– including Claytonia virginica and Hepatica acutiloba – often sound exotic, and their locations on the forest floor mean that you’ll probably have to hike a trail or a hillside to find them. However, their delicate blossoms and incredible colors of native wildflowers are well worth the effort it takes to gaze upon tiny, pink-striped Claytonia virginica flowers at Goll Woods in Fulton County or the purple Hepatica acutiloba that all-too-briefly bloom at Caesar Creek State Park. Tip: since the wildflower season starts in southern Ohio in late March and steadily progresses northward through the middle of May, the Ohio Department of Natural Resources highlights the best places for viewing wildflowers in the weekly Ohio Wildflower Bloom Report; click here to find it. For more spring fun, Find It Here. at Ohio.org.